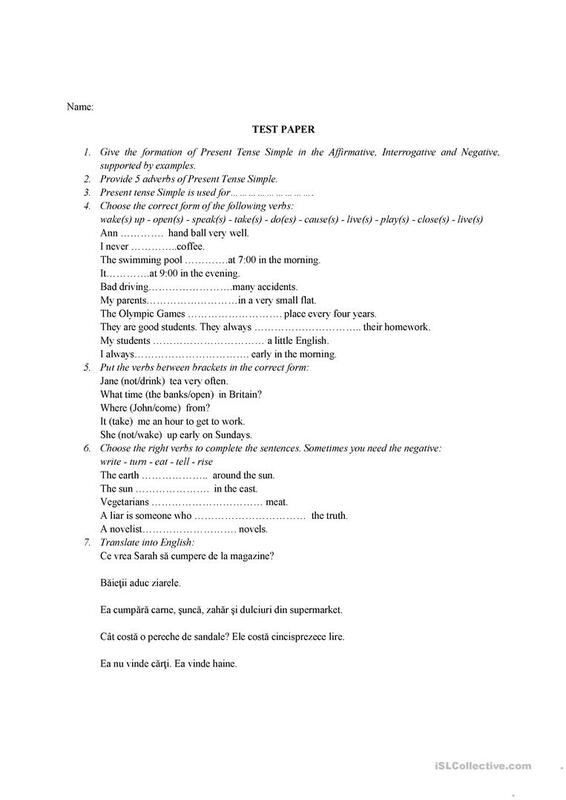 A test based on Present Tense Simple. This downloadable handout was created for adults at Beginner (pre-A1) level. 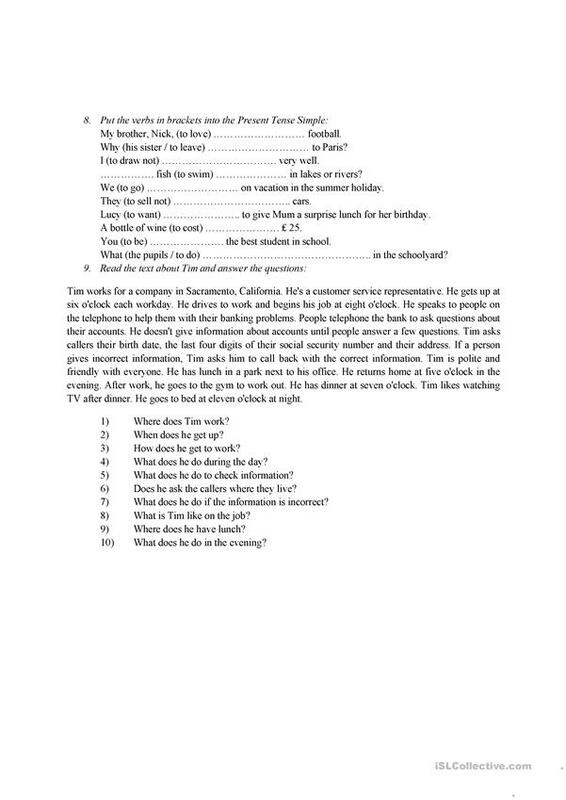 It is valuable for practising Past simple tense in English, and can be used for enhancing your groups' Writing skills. It focuses on the vocabulary topic of Shopping. teacherdianaflavia is from/lives in and has been a member of iSLCollective since 2014-10-11 16:49:58. teacherdianaflavia last logged in on 2019-03-12 08:31:19, and has shared 1 resources on iSLCollective so far.